The Aspen Collection by It’s About RoMi is a unique and original idea which has been brought into reality. 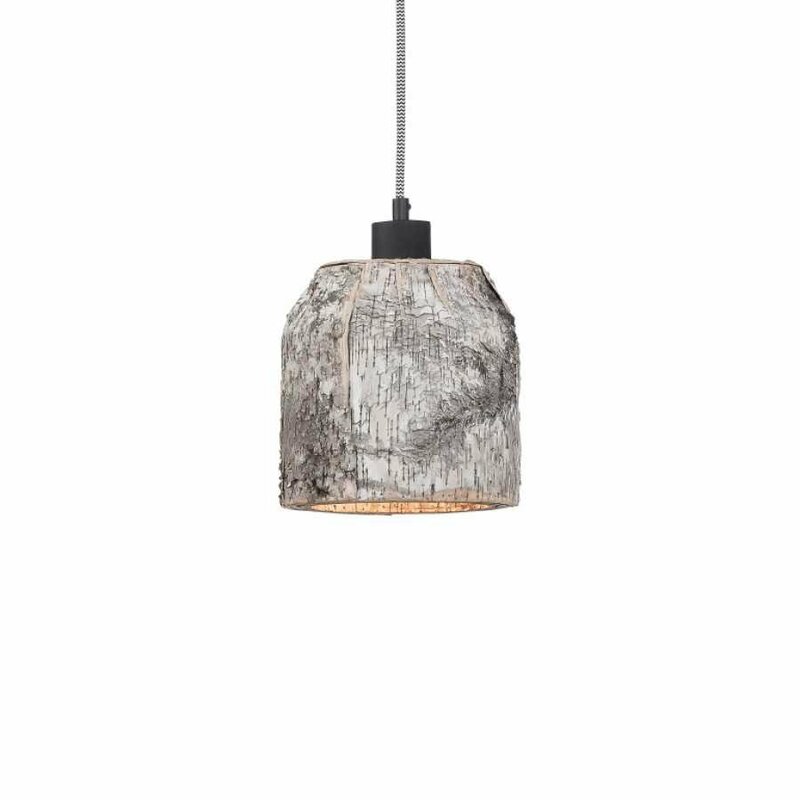 Unlike many other light fittings on the market, the Aspen Pendant is made from natural bark and wood, left in its natural form, creating an atmospheric feature for your home. This single Aspen Pendant by It’s About RoMi is an unexpected delight and its unusual style makes it extremely compelling. The Aspen Pendant by It’s About RoMi features a pendant shade made from natural birch wood, with the bark on and it has matte black iron fittings. It requires 1 x E27 max 8W energy saving LED lightbulb which is not provided and it is complete with a 2 metre fabric cable. The unexpected delight this natural pendant light offers makes it a compelling choice for many different spaces in the home. Each individual Aspen Pendant measures 24cm in height and 24cm in diameter and each ceiling rose measures 12.5cm in diameter and 2.5cm in height.